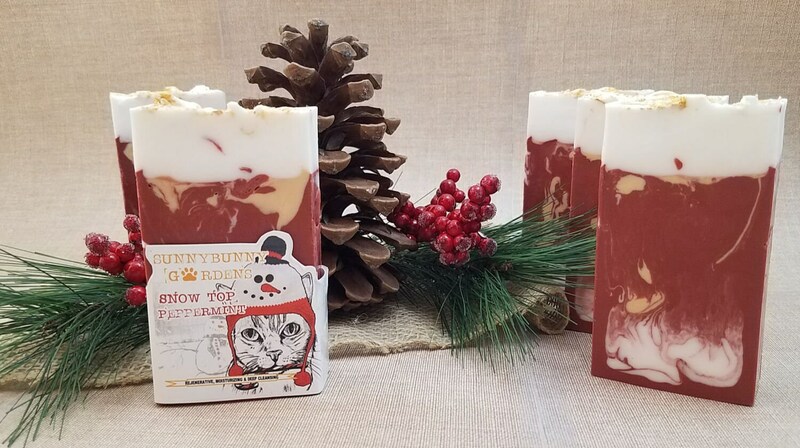 Welcome to the holiday season! 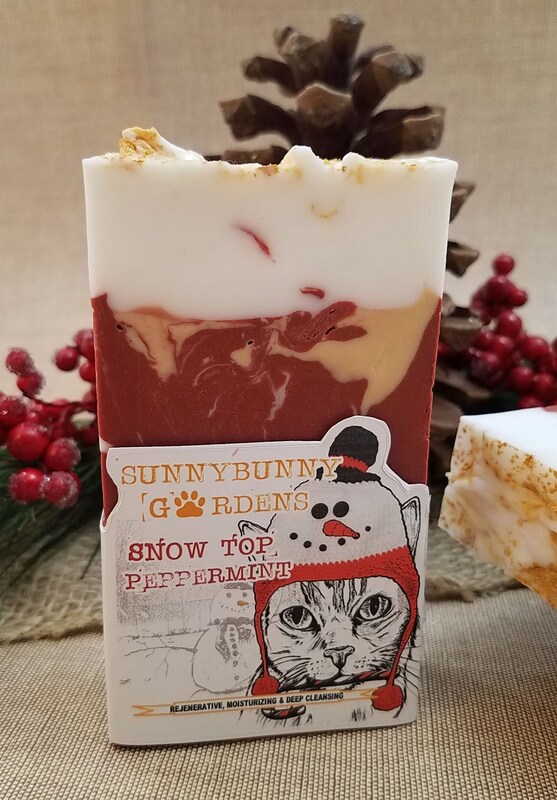 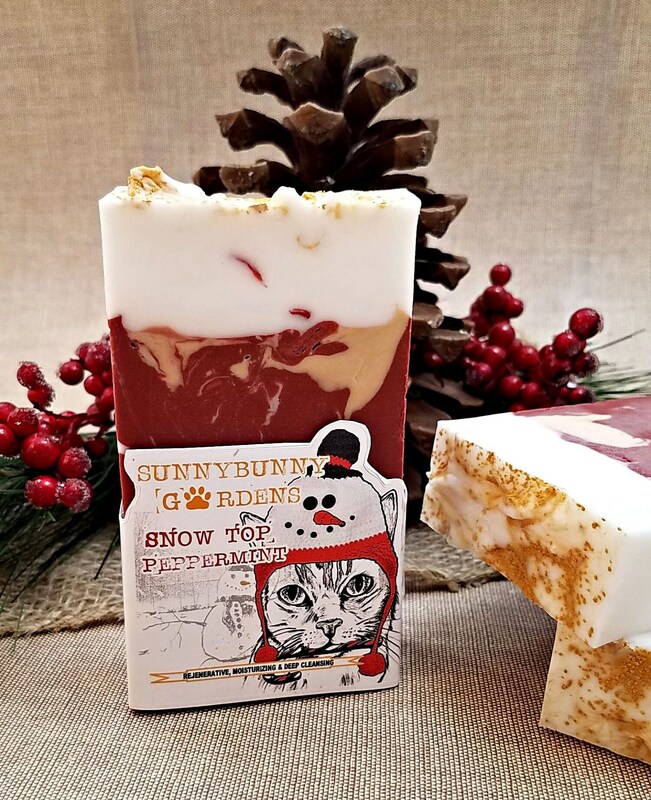 This Snow Top Peppermint soap bar will get you in the holiday spirit! 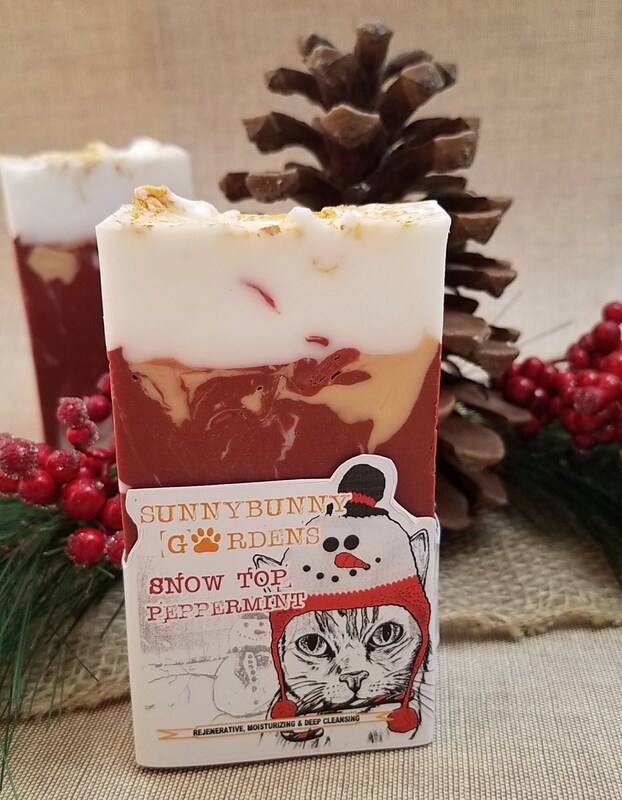 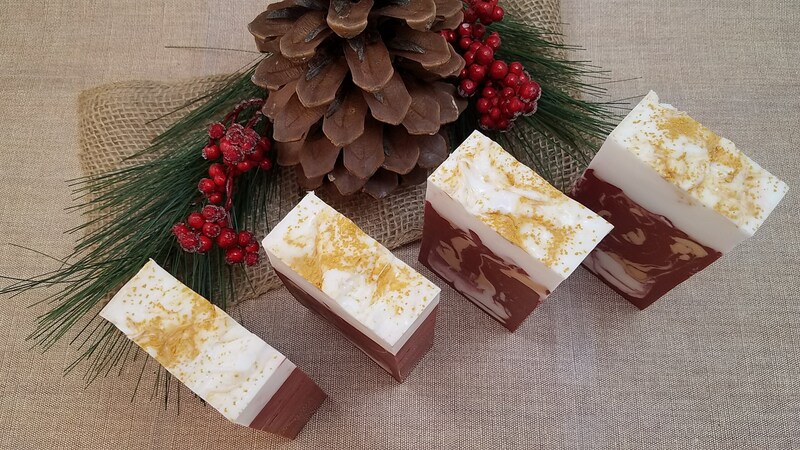 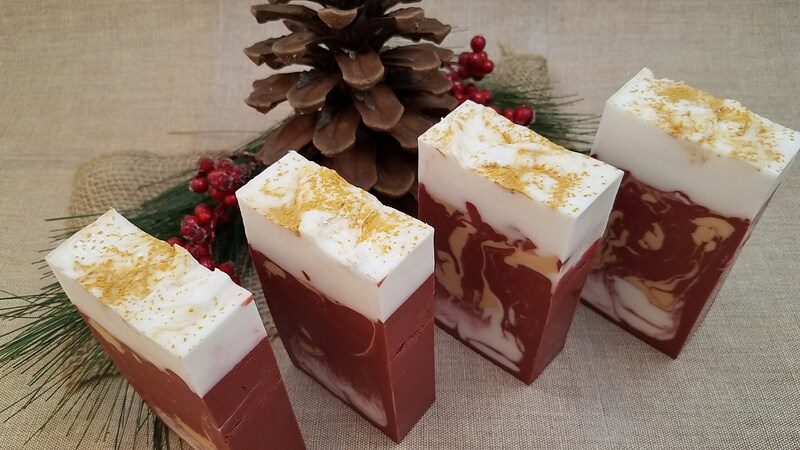 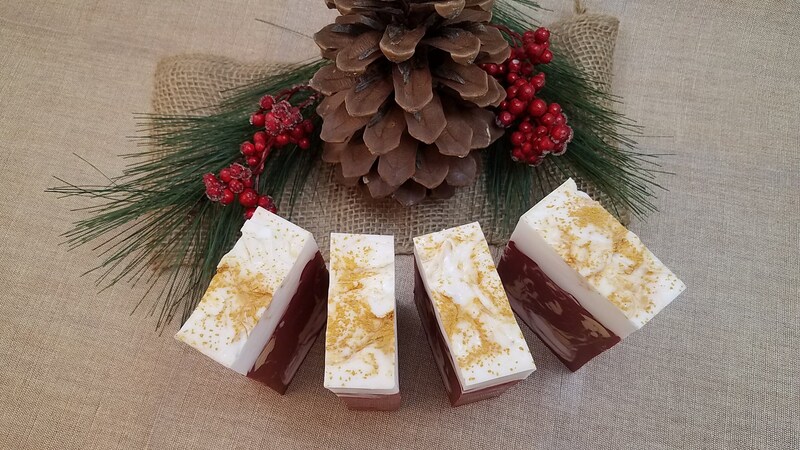 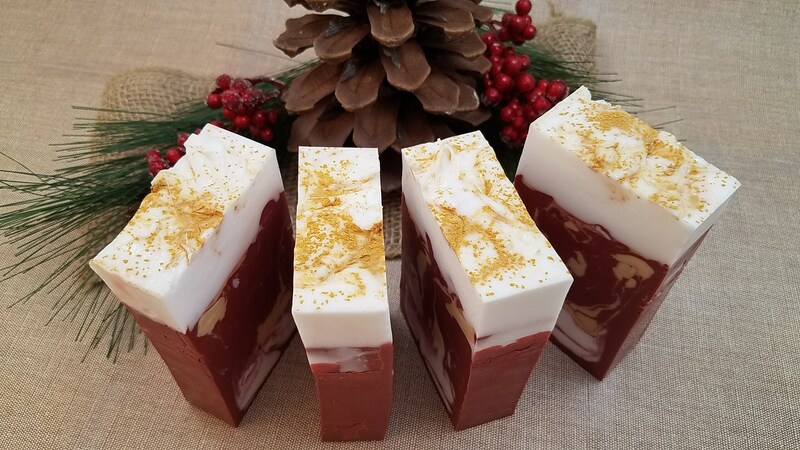 This bar is swirled with rustic red, gold & snowy white and smells just like a peppermint candy! 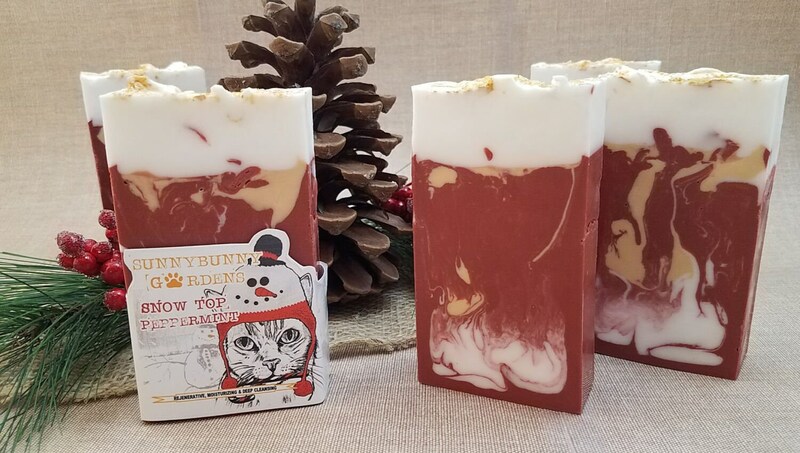 Beautiful smelling and looking! 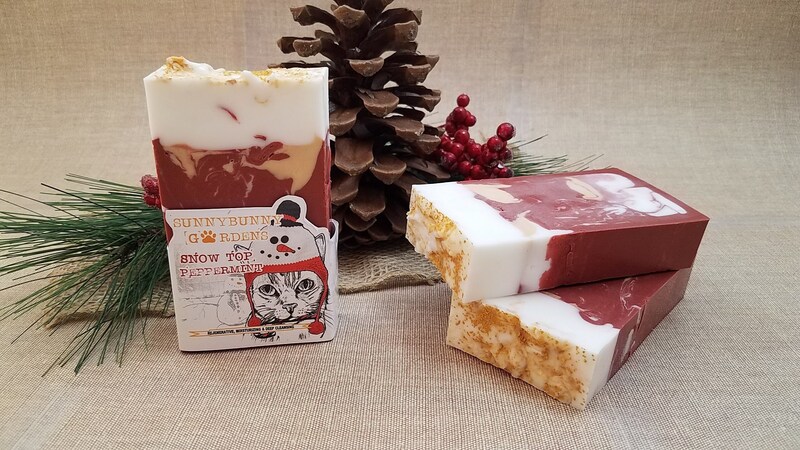 Great products.